Dean Buonomano: I was born in the U.S., but moved to Brazil when I was seven, so I had the privilege of being exposed to two different cultures while growing up—which is an enriching experience for any child. Since I was in my teens I was fascinated by how the organ floating around in our skull made us who we are. How did the entangled mass of neurons in our brain generate our ability to feel hunger or fear, think, create, experience love and joy, or even more mysteriously, ticklishness? So I knew early on that I wanted to study the brain. At the time I was not sure if the best route to achieve this goal was medicine, physics, or biology. I ended up doing my undergraduate work in biology, and after that I came back to the U.S. to do my Ph.D. and postdoctoral work in neuroscience. It was clear to me that understanding the brain might the most complex field out of all scientific fields, after all, neuroscience is the only field in which the object of study is also doing the studying. Furthermore, neuroscience is highly interdisciplinary, tapping into biology, psychology, biochemistry, genetics, medicine, physics, computer science, electrical engineering, and philosophy. 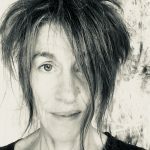 And clearly, deciphering the inner working of a biological information processing device would require both experimental and theoretical approaches, so from the beginning of my career I focused on both experimental and neurocomputational techniques in my research. RB: Your research involves the study of time, particularly neuroscience and time. When did your interest in time begin and why do you think understanding time is important? DB: In many ways the brain is a time machine, we remember the past to predict the future and we engage in mental time travel (we can mentally project ourselves into the past and future). Additionally, we are pretty good at telling time, whether demonstrated by catching a ball, playing the piano, or anticipating when the red light will change to green. But how does Mother Nature build clocks using neurons? As a graduate student I became interested in the problem of how the brain tells time, I’m not exactly sure why I became obsessed with the problem of time and the brain, but perhaps a seed of my interest was planted by my grandfather when he gave me a stopwatch—when I was a child I would time how long it took people to do everything from running from point A to B to solving puzzles. RB: One way of understanding time has been through physics, in which there are two general views, that of ‘presentism’ and that of ‘eternalism’, but that understanding of time often conflicts with our lived experience of time, particularly in relation to ‘free will’. What can neuroscience and psychology tell us about time? DB: Indeed, philosophers often distinguish between these two general views on the nature of time. Under presentism only the present is real, that is, the past no longer exists and the future is yet to come into existence. Under eternalism (or the block universe) the past, present, and future, are equally real, thus our intuitive feeling that there is something very special about the present is essentially an illusion. 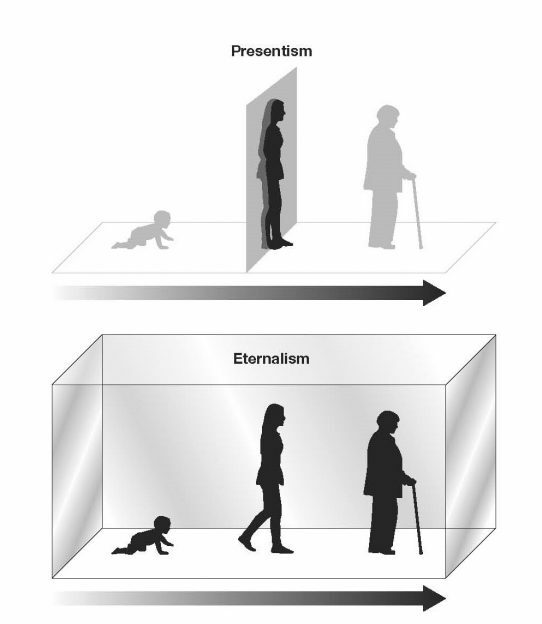 Eternalism, it is fair to say, is the favoured view of the nature of time among physicists and philosophers, although, ultimately there is no direct empirical data to support eternalism or presentism. I would suggest, however, that our subjective experience of the flow of time and that only the present is real, should be taken as an empirical observation about the nature of time. After all, the brain evolved to help us survive the harsh realities of the physical world, not mislead us about fundamental aspects of our reality. So, in the absence of any empirical evidence to the contrary, perhaps the default view of the nature of time should be presentism (or more accurately local presentism). The question of free will is certainly intertwined with questions about the nature of time but, in my view, most of the debate about free will revolves around our inability to agree on a definition of free will. For some I think that the belief in free will stems from what we might call cryptodualism—an unconscious bias that there is something more to the human mind than the material brain. But, ultimately all our decisions come from the inner workings of the brain, whether these decisions come about from unconscious or conscious circuits within our brain is in some sense irrelevant because either way our decisions emerge from our brain. What makes me me, is the net interaction between my unconscious and conscious self. To me free will is best thought of as conscious feeling the brain generates when it makes a decision—whether or not that decision arises from conscious or unconscious processes. Now a deeper question relates to free will and determinism, that is, whether or not our decisions are in theory predetermined and predictable. Since I’m a presentist, and because quantum mechanics tells us there are truly random events, my view is no, future events are not predetermined and cannot be predicted with certainty even in theory.